MCAA's Annual Safety Directors’ Conference is the one place where mechanical industry safety professionals and UA safety instructors can get world-class education on the most current, mechanical industry-specific safety and health topics and issues. – By providing preeminent educational sessions on the most urgent safety and health topics and issues affecting mechanical construction and service firms, and their fitters, plumbers, service technicians, and fabrication shop workers. – By selecting extremely knowledgeable and engaging instructors to present the topics and issues. – By inviting specially selected manufacturers and suppliers to introduce and exhibit state-of-the-art safety and health products, equipment, services, etc., that are applicable for use in the mechanical construction and service industry. 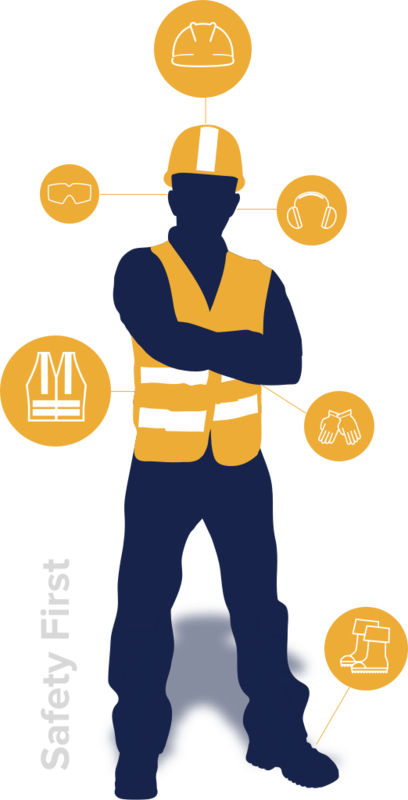 – By establishing networking and team-building opportunities for attendees to build relationships with their fellow safety and health professionals and safety trainers. Annual MCAA Safety and Health Exhibit: Join us for the annual exhibit presented in conjunction with the conference’s opening night welcome reception. The exhibitors are hand-picked to present innovative, state-of-the-art safety and health services, tools, and equipment that are applicable to the mechanical construction and service industry. Keynote Presentation: Mercedes Ramirez Johnson- "Don't Count on Second Chances": Witness Mercedes describe surviving the tragic 1995 commercial airline crash that killed 160 people, including her parents, and how complacency with the airliner’s safety functions led to the crash. Kickoff Presentation: Dr. David Michaels- "The Future of Safety in America": Immediate past Assistant Secretary of Labor (OSHA) Dr. David Michaels kicks off day two of the conference with his presentation on the future of safety. Learn what to expect in the United States over the next five to ten years concerning mechanical construction and service industry safety and health. Anthony Huey- "Making Your Training Messages Memorable": Learn how to make your safety training messages and other presentations unforgettable with international presenter Anthony Huey, who provides participants with pragmatic communications tools, tips, and techniques that can be put to use immediately. UA Virtual Safety Training Technology: Meet UA Director of Education and Training Chris Haslinger and President of Mosaic Learning Mike DeSimon to discover the most innovative and effective virtual safety training technology anywhere in the world. Feel free to participate to get the most out of the hands-on demonstrations. Cheryl Ambrose- "The UA Standard for Safety": Meet UA Health, Safety and Environmental Administrator Cheryl Ambrose as she presents the United Association’s Standard for Safety by walking participants through UA member, local union, employer, and management responsibilities to achieve the mutual goal of safe workplaces for all mechanical industry workers. Open-Topic Breakout Sessions: Enjoy working through the mechanical industry’s safety and health issues with your colleagues from all over the country. These sessions, which are annual favorites, allow participants to meet with their friends and colleagues in smaller groups to introduce industry-specific safety and health problems and issues and discuss potential solutions to address them. Team Building Event: Continue the networking and team building with your fellow TEAM MCAA members at Universal Studios where time in the park, the evening reception, and some friendly competition will bring the TEAM MCAA family even closer together. If you have any questions about the conference, please contact MCAA's Director, Safety and Health, Pete Chaney. MCAA continues to present free pre-Safety Directors’ Conference CPR/AED courses. Come early and you can earn a qualification to: 1. Administer CPR/AED. 2. Instruct CPR/AED classes. Both classes are presented by the professionals from Rescue One Training for Life, Inc., using American Safety and Health Instiute (ASHI) training materials. Have you been putting off that professional certification? For the first time, MCAA will present a post-conference workshop to prepare safety professionals for the Associate Safety Professional (ASP) professional certification offered by the Board of Certified Safety Professionals. The workshop starts on Thursday afternoon January 24th and concludes on Saturday afternoon, January 26th. The registration fee has been substantially discounted for those who attend the Safety Directors’ Conference. If an attendee of the ASP preparation workshop fails the initial ASP exam, they will be allowed to repeat the workshop for free.